If you were looking for one reason why the new Nexus 4 is not tied to a carrier, look no further than the Galaxy Nexus that is available at Verizon. The device, which carries the “Nexus” name, is now three updates behind the rest of the Nexus family of devices, something I don’t know that anyone could have imagined or predicted when it was first released almost a year ago. I don’t necessarily think we need to question whether or not this is a true Nexus, but I think now more than ever, it’s safe to say that the carrier approval process when it comes to updates, is about as broken as it gets. On June 27 of this year, at Google I/O, Jelly Bean (Android 4.1) was announced to the world. 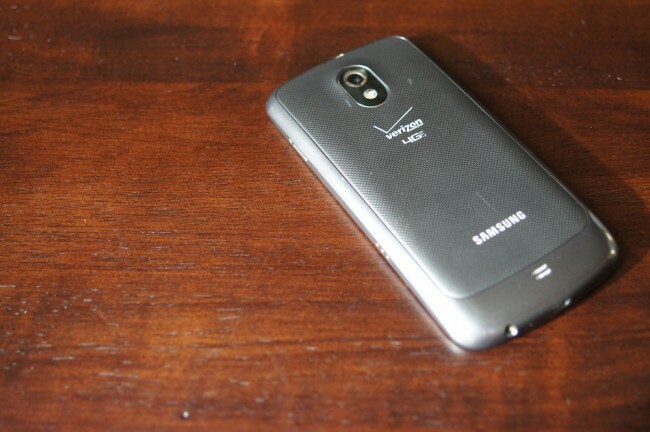 By July 9, it was headed to AOSP, followed by a rollout to the HSPA+ Galaxy Nexus the next day. Before July was over, the XOOM WiFi received the update, along with a couple of minor updates to the Nexus 7, which was running Android 4.1 out of the box. An entire month then went by before we saw the first Galaxy Nexus LTE leak of Jelly Bean, a build that would eventually become the official build. That was on October 28. On September 21, Verizon approved Jelly Bean for the G-Nex as build JRO03O, almost three months after Google had announced it and more than two months since the non-carrier Nexus devices received it. It’s now November 29, and we have seen Android 4.1.2 come and go to all non-carrier Nexus devices, along with the announcement and release of the newest version of Jelly Bean, Android 4.2, which was then followed by a minor update to Android 4.2.1. I know you can count, but again, that’s three updates since Verizon’s Galaxy Nexus received Android 4.1.1. There have been no leaks of any new builds, and at this point, we have no idea if or when the phone will see any of them. I’m sure that it will, because it’s a Nexus, it’s only a year old, and we know it can run the newest software, but since we have to wait for carrier approval, it could be a while. Actually, it has already been a while. Speaking of carrier approval, this is a brief history of how the update process works. Step 1, Google updates Android and sends a build to Verizon for approval. Step 2, Verizon puts it in their long list of updates to approve for a variety of devices. There is no special treatment, just because it’s a Nexus. Step 3, Verizon’s testing team either approves or denies the update. If approved, they give Google the thumbs-up to make it available to your phone. If it’s denied, it goes back to Google for fixing and we do it all over again. You can see how this process can take a while. With non-carrier Nexus devices, Google approves the software, and then makes it available to your device. That’s it. Two steps. There is no middle man, hence the beauty of a non-carrier Nexus. I called the process “broken” up above, but I’m afraid it’s much worse than that. Thankfully, it’s a Nexus, so you can still get the newest build of Android at almost any time, as long as you are down to tinker.